To pass an emissions test the check engine light needs to be off, oil changed, good gas cap, use a fuel additive, and warm it up on highway. 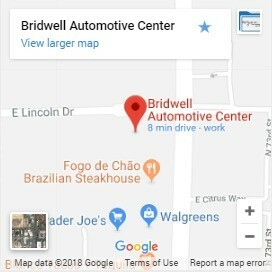 If you’re searching for how to pass an emissions test in Scottsdale, Bridwell Automotive Center can help! Our team understands the state and city’s requirements for emissions and how to help ensure your car, truck, or suv will pass emissions testing.ASE Certified automotive repair technicians can help you prepare for testing or can help repair issues if you have failed and emissions test. Read more about reasons vehicles fail emissions tests and how much emissions repairs cost. To give your vehicle the best chance at passing the emissions test follow these tips. By doing a little preparation you can save yourself the headache of getting your vehicle retested. If you’ve got more serious problems with your vehicle you will likely need to have professional automotive repair to get your vehicle to pass emissions. Old dirty oil in your engine can release extra pollutants which can cause you to fail your emissions test. It’s a good practice to have your oil changed before an emissions test. One of the most common reasons people fail an emissions test is the gas cap. Gas cap seals are exposed to heat, cold, rain, snow and the seals break down. If air is passing by your gas cap it can cause your vehicle to throw a check engine light and fail your vehicle in an emissions test. Having your vehicle tuned up about 2 weeks before you need to get the test is a great precaution also. Your vehicle benefits from regular maintenance and it will increase the chances of passing you emissions test. Filters will be changed and your vehicle will be running at peak performance. In some states your vehicle will be ran on rollers to test emissions as if you were moving. This is called a dynomometer. If your tires have low pressure it could cause your motor to release higher levels of pollutants at speed. Fuel additives help clean carbons deposits out of your vehicle’s exhaust and intake system. If you’ve got extra carbon deposits around fuel injectors, cylinders, or in the exhaust it can cause your vehicle to fail an emissions test. If it is a vehicle you don’t normally drive, but want to get the registration done, you will need to make sure you drive it regularly for 2 weeks leading up to your testing. This helps clear out the exhaust system and catalytic converter from carbon and other harmful pollutants. On the day of testing you’ll need to drive the vehicle on the highway for about 20 min to warm up the motor. This makes it so when you arrive at the emissions testing center you’ll be ready to pass with flying colors. There are 6 main reasons vehicles fail emissions testing. A check engine light is a red flag that will cause you to fail along with bad O2sensors, too rich fuel to air mixture, bad EVAP systems, leaky, or incorrect fuel metering. The check engine light in your vehicle comes on for numerous reasons. If it is on you should stop by our shop and let us read the code to figure out what is happening with your vehicle. Sometimes it can be as simple as needing a new gas cap to something more serious that if ignored can result in costly repairs. Vehicles today rely on O2 sensors to monitor exhaust fumes. When they are not working properly the vehicle will likely have a rough idle or decrease in engine power. You will also lose mountains of MPG efficiency if your O2sensors are not working properly. If your vehicle is burning too much fuel it will not pass emissions testing as the toxicity of the exhaust will be too high. When gasoline is injected into your engine it is mixed with a proportion of air. This is called the “air to fuel mixture”. How much fuel is used to in each cycle of the pistons affects your fuel mileage, power, an carbon monoxide content in your exhaust. If you are burning too much fuel you will not pass emissions tests. Your Evaporative Emissions Control System, or EVAP, stops gas fumes from being released into the atmosphere by your vehicle. When vacuum hoses are cracked, loose, or broken it will cause the check engine light to come on. Even a loose or broken gas cap will cause the EVAP system to throw a check engine light and prevent you from passing your emissions test. Exhaust leaks will wreak havoc on a vehicle’s ability to pass an emissions test. If your exhaust system is leaking it will make the O2 sensor read incorrectly. If the exhaust from your engine isn’t being passed through the catalytic converter it is being released into the atmosphere in categorically illegal levels. If your exhaust system is leaking, we can repair it so you will pass the emissions test in Arizona. How much fuel your vehicle uses is also part of emissions testing. If your vehicle uses too much fuel compared to it’s make and model you will likely not pass your emissions test. The right amount of fuel is sent to the engine to make it run smoothly. If a fuel injector or engine control unit is malfunctioning it will use too much fuel and make it hard to pass an emissions test. How Much Does Emissions Repair Cost? The cost to repair your vehicle so it will past emissions testing will depend on what is preventing it from passing. If it is simply a gas cap, it will cost around $30. In contrasts it costs about $200 dollars to fix an O2 sensor in most of today’s vehicles. If the catalytic converter needs to be replaced it will cost over $1,000 dollars. You will save money the sooner you bring your vehicle in when the check engine light turns on. Small issues like O2 sensors can lead to the bigger more expensive problems such as replacing your catalytic converter. 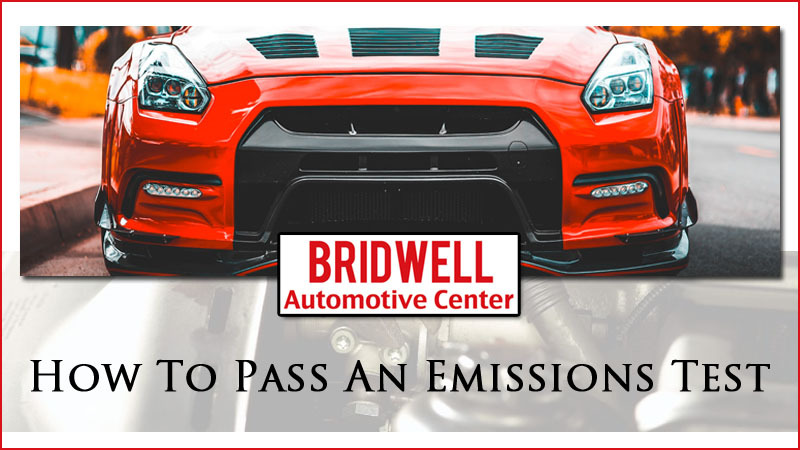 If you want to ensure you will pass on the first try for emissions testing, or if you have already failed and need help repairing your vehicle so it will pass; Bridwell Automotive Center is here to help! From your daily driver Fords and Chevy’s all the way up to your McLaren or Ferrari our ASE Master Technicians are ready and waiting to help your pass emissions test in Scottsdale, AZ. Interesting article for passing an emissions test. It’s good to know that the vehicle should be driven regularly for 2 weeks leading up to the test. I’m interested to learn if it depends on how long you drive the car for to help clear out the exhaust system.